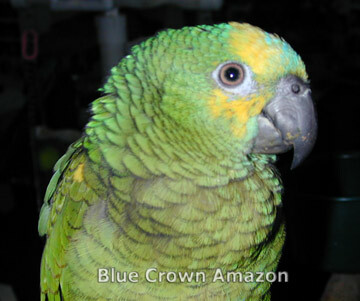 A just weaned Blue Front Amazon. Very gentle but of course it has the Amazon attitude. 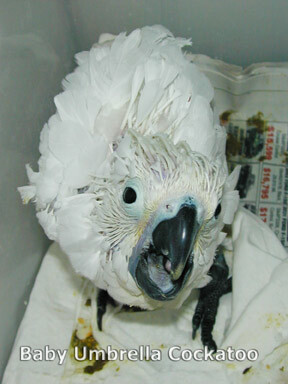 A baby Umbrella Cockatoo below. 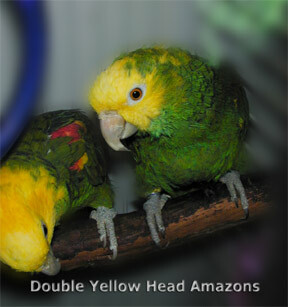 A pair of Double Yellow Head Amazons. 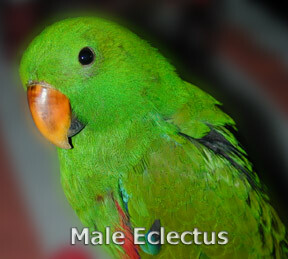 A six month old male Eclectus. 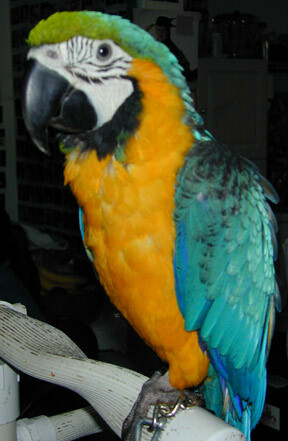 These are a few birds of my acquaintence. 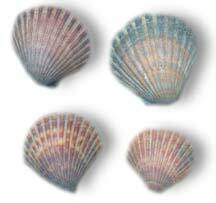 Very nice and hand tamed or on their way to being so. As happens once in a while, a friend from a few years back contacts me to catch up, touch base, say hello. My web site and my listing in the alumni page at the University of Dayton School of Law leave a trail there for anyone who might care to find me and speak with me. Careful planning makes it so, unfortunately and for a number of reasons I don't often try to find old friends and old classmates. A LexisNexis search, a run through Google or a look through the alumni directory would be sufficient for me to find anyone I would desire to find but I don't do it. There is always time. Time sometime later to make that small effort. So as a result I don't look up people. There is always time right? 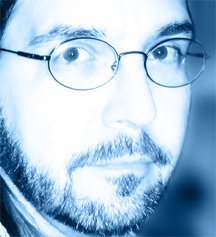 Well a friend of mine, Marc did take the time to look me up and it was good to hear from him. In our emails back and forth he mentions a fellow classmate, Andy Johnson or as was the running joke for us "Andy's Johnson."